This is a stylish, roller bowling bag for Candlepin Bowling. 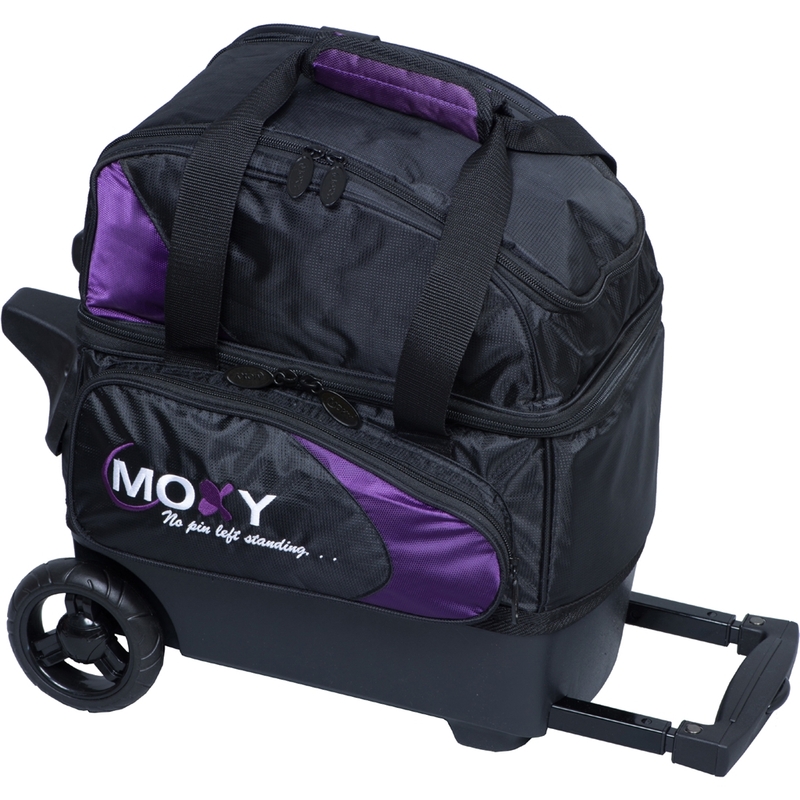 For an affordable, yet durable Candlepin bowling bag, choose Moxy. Color coordinated locking retractable square handle which extends to 39 inches. Specially designed foam insert to hold your Candlepin Bowling Balls securely. This will hold up to (4) Duckpin Bowling Balls securely. On the bottom of the bag is an additional heavy duty handle for ease in lifting the bag into your vehicle, trunk or anywhere else. The retracting handle can also be used to help lift the bag. 1 side zippered accessory pocket. 1 front zippered accessory pocket. Keep up with all the latest bowling news by subscribing to our blog, Becoming a Bowlerstore.com Fan on Facebook, Follow us on Twitter, Subscribe to our You Tube Videos & More! Click the logos for more info.